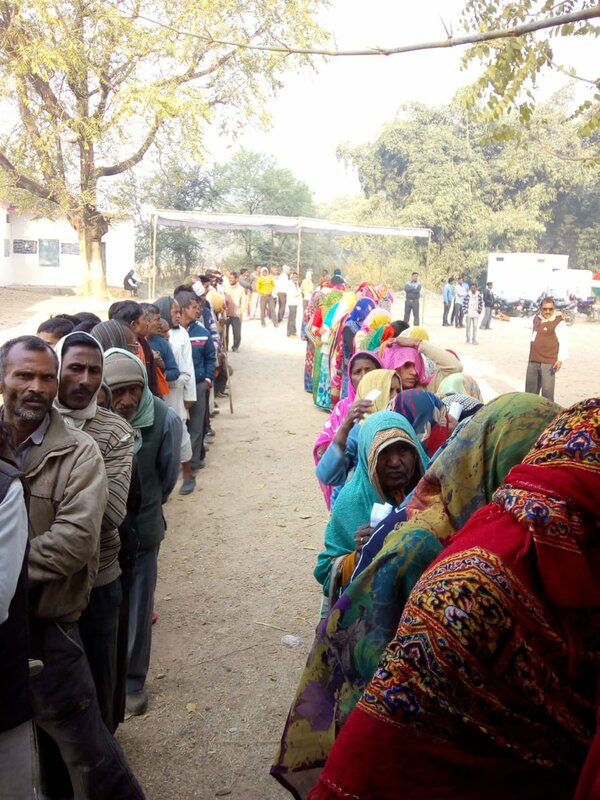 Around 74.61 voters exercised their franchise on Wednesday in the Madhya Pradesh Assembly elections. 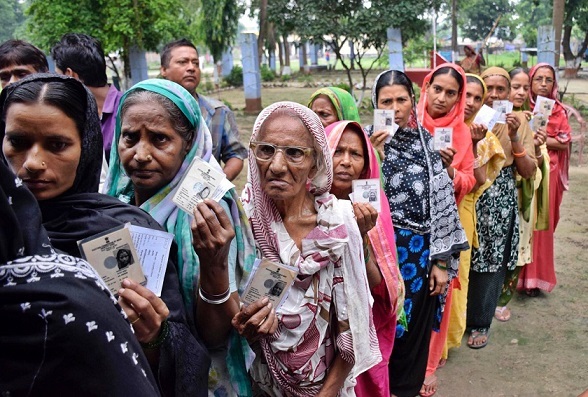 Bhopal: Around 74.61 per cent voters exercised their franchise on Wednesday in the Madhya Pradesh Assembly elections while two polling officials died on duty, officials said. Around 70 Electronic Voting Machines (EVM) were also replaced at various polling booths across the central state following complaints of technical snags, MP's Chief Electoral Officer (CEO) V L Kantha Rao told reporters here. Two polling officials died due to health issues while performing their duties in Indore and Guna districts, another election official said. Polling was held from 8 am to 5 pm in 227 seats, while in three Assembly segments of Lanji, Paraswada and Baihar in the Naxal-affected Balaghat district, the voting time was between 7 am to 3 pm. Earlier, polling for the crucial state polls began on a peaceful note in all Assembly constituencies in the state. Long queues were seen in the Naxal-affected seats and other places, Rao said. As many as 2,899 candidates, including 1,094 independents, are in the fray for the 230 seats, but the main contest is between the Congress and BJP - the Big Two of MP politics. The state has 5.04 crore eligible voters. Over three lakh government employees, including nearly 45,000 women, were on poll duty across the state.